Friends. I’ve made a fantastic realization. Much like action figures and animated series (and sometimes action figures FOR an animated series.) we have lived through another Golden Age! The Golden Age of talking food. You probably already knew this instinctively but I’m here to confirm your suspicions. 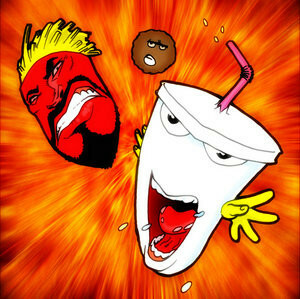 The best anthropomorphic food-based entertainment ever created, was created during our generation. 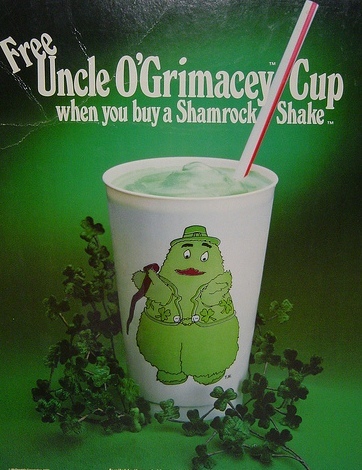 But the talking food that started in the late 70’s and carried on through the 80’s were on a menu all their own. I think we should start where it all started with me in a land that my love of is widely known. 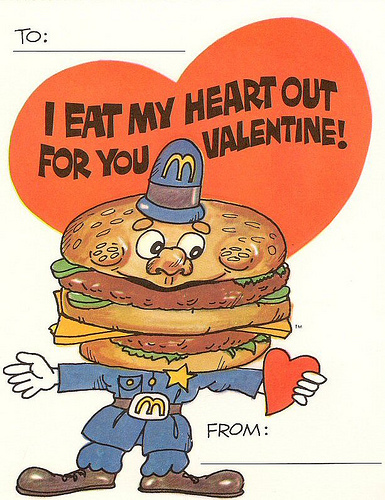 That land…was McDonaldland. 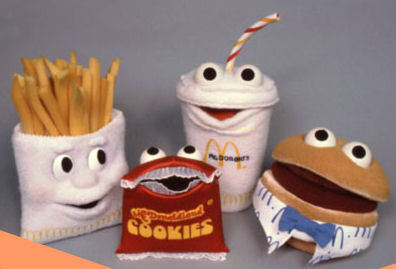 Unless you’re under the misunderstanding that McDonaldland was some kind of lawless liberal haven where strange dwarf creatures could just go around burgling all the hamburgers they wanted, let me introduce you too a little law and order on sesame seed buns. The Law Man: Big Mac Cop. 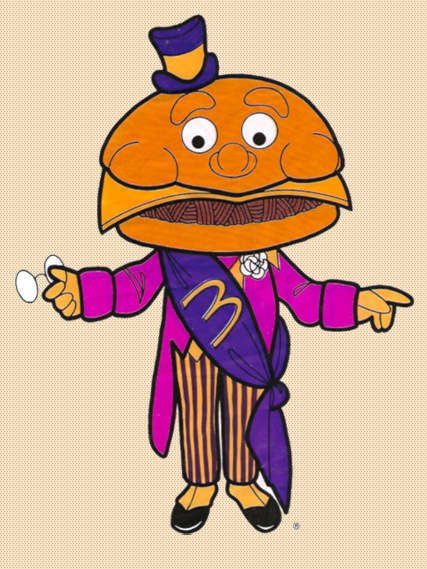 Quite possibly the last truly honest politician left in any world, Mayor McCheese is truly one of my heroes. Moving on from the warm heatlamped comfort of McDonaldland I want to explore an equal but opposite example of this level of culinary creativity. 1993’s Veggie Tales, a series of animated shorts so brilliant in their simplicity that they were able to achieve the unimaginable; get children to love vegetables! Seamlessly combining elementary school focused messages of morality and Biblical storytelling with absurdist musical numbers and satirical pirate and superhero action, veggie tales a-PEELED to kids, teenagers and even adults! If you’ve never checked out Veggie Tales you should! Now let’s journey into the darker side of the pop culture pantry. 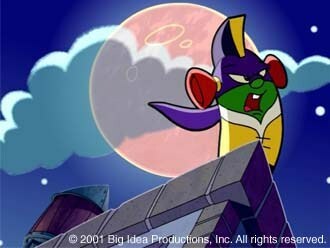 The world of anthropomorphic edibles had it’s fair share of evil and I loved every minute of it. 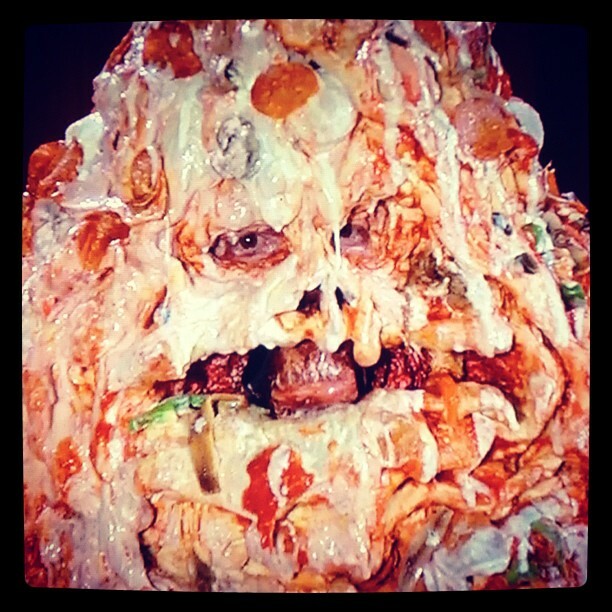 An unstoppable, intergalactic mob boss full of equal parts menace…and calories. Before his tragic, self-inflicted eating death he was one of the most feared and respected men in space. 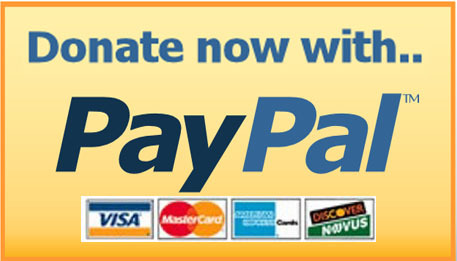 If he loaned you money, you had better make sure to pay it back in 30 minutes…or death. Because you NEVER wanted Pizza to send out for YOU. 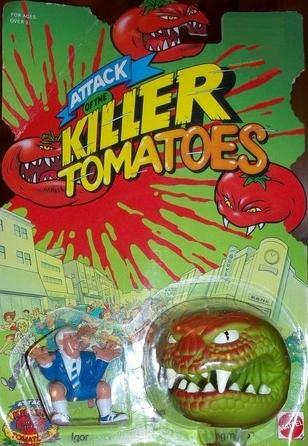 It gets worse however, because if you think the tomato sauce of Pizza The Hut was scary, he’s got NOTHING on The Killer Tomatoes! Mindless killing machines pour through the streets like round red piranhas leaving city after city devastated and streets full of an indistinguishable flood of tomato sauce and blood. Also between you and me, I’ve never liked tomatoes they’re gross…and that opinion is only partially based on their ability to mutate into ravenous, sentient monsters. Two which I have two things to say. and secondly, OOOOOH yes I almost certainly do have something worse. Say hello my giant fluffy friend. This, my dear readers is the living legend known as the Stay Puft Marshmallow Man. Stay Puft made a huge impact during his 10 minutes or so on the big screen. Immediately after springing from the mind of Ray Stantz he set about his marshmallow task of bring down soft, sugary destruction on the city of New York and cemented his place as an American icon and a Kaiju of Gamera or even Godzilla proportions! Sooo… maybe brilliant psychedelic world creation isn’t enough for you. Maybe even chilling food horror has left you cold! Where is the epic storytelling that makes this Living Food’s golden age? Where is the conflict? The high drama? The war? It’s war you want? It’s War You’ve GOT! 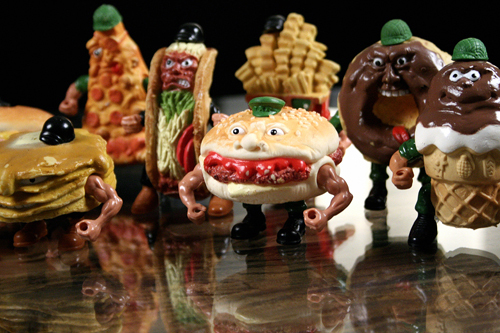 Food Fighters was one of the most unique toy properties of the 80’s and quite possibly the most well-developed characters of any toy-only properties. Yes, that’s right Food Fighters were only toys. As part of my in-depth, highly involved research for this article I searched for information on the comic books or cartoons that inspired or were inspired by this toy line and found nothing. The battles between The Kitchen Commandos and the Refrigerator Rejects are so vibrant in my mind that despite all evidence to the contrary, I still believe that animated series and comic book exist. That, my friends, is good food storytelling. In the history of sentient food based entertainment there has never been a richer or more engrossing age than the one experienced by our generation. I for one am proud to have lived during this dynamic dinner dynasty and I hope after hearing the facts as I have presented them, you are as well. Who know what the future may hold for talking tomatoes or platoons of pancakes, but with a back-catalogue this full, one thing is for sure. Our pop culture appetites can be satisfied for many years to come. Now, if you would, play us off California Raisins! Another great post! And i distinctly remember all of these properties as they were introduced. Yes its amazing how much variety we have been given in the narrow genre of talking food. What a ride it’s been!